Before 2008, the Internet Explorer and Firefox were ruling the world. Then came Google Chrome and there was a revolution in the field of technology. In no time, it became the most popular web browser in the world. 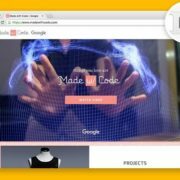 With the Google Chrome Hacks & extensions in this article, you can work magic with it and can make it even better. There is no shortage of innovative and creative programs. Every day they come up with some feature or the other that makes it even more fun to work on Chrome with the latest extensions and applications. These features allow you to do a wide variety of things right from learning a new language, save money while shopping, save articles for reading later, improve your writing skills, and the list goes on. The best part is that all of it is effortless and requires absolutely no extra effort on your part. Who doesn’t love free money? All of us like to use coupons while online shopping and try our best to grab them from the darkest corners of the world wide web before our next purchase. Well, it isn’t such a Herculean task anymore! 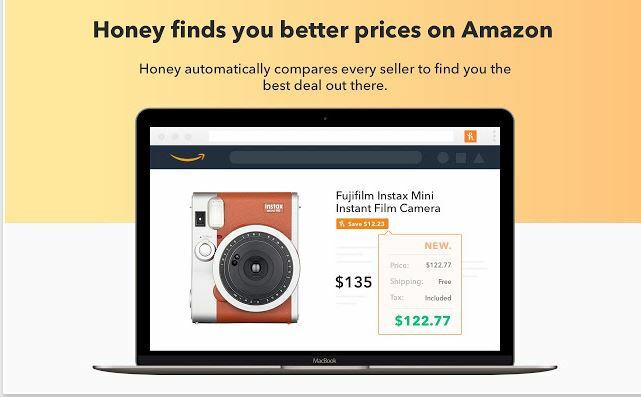 With Honey downloaded extension, in this Google Chrome Hack, all you need is to press its button, and it will scour through the extensive internet to find just the right coupon code for you to earn that extra amount. Reading is the best part-time hobby. It helps you in several ways. Moreover, there are times when you come across an article online but cannot go through it because of time restraints and then lose it in the vast sea. 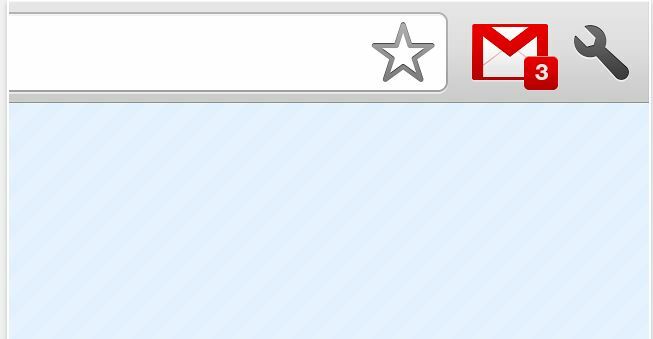 For times like these, Chrome has a solution. Pocket allows you to download articles online so that you can sit and read them whenever you get time and are in the best state of mind. Download Pocket extension. Is there a language which has always fascinated you to no end but you didn’t have enough time in your hands to learn it? Are you trying to learn a new language but don’t know how to inculcate it in your everyday life so that it stays in your memory? 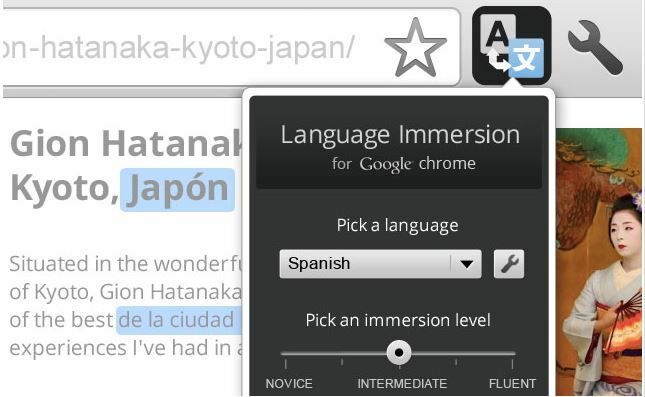 True to its name, Language Immersion (download extension) seeks to explore how it feels like to be immersed in some other language. It substitutes a few words of English with the language that you have chosen so that you can passively practice it and at the same time do other important stuff. Furthermore, if you find yourself stuck at any point, you can click on the word, and it will revert to English immediately. All of us need our space sometimes? We don’t always want everyone to know what we are watching online. However, sometimes someone might barge into your room and catch you red-faced or may even give you that speculative look after seeing how quickly you managed to close your browser window. Panic is a hilarious extension that allows you to escape this embarrassment. As soon as you press the Panic button, you will be able to hide all of your tabs in a secret little folder. This way neither would you have to close your browser at lightning speed nor run the risk of losing your data. Get the Panic extension. There is always a vital mail dropping in your inbox. You cannot afford to miss a single one of them, and thus you keep juggling from tab to ta. Sounds familiar? If you are indeed stuck in this predicament, look no further for Google Mail Checker shall help you to see the number of unread emails in your inbox without you having to click and check several times. Install the Google Mail Checker extension. Banner ads that pop us on your screen now and then play a huge role in ruining your web experience. The situation turns worse in case of several sites which tend to be bogged down because of the ads. 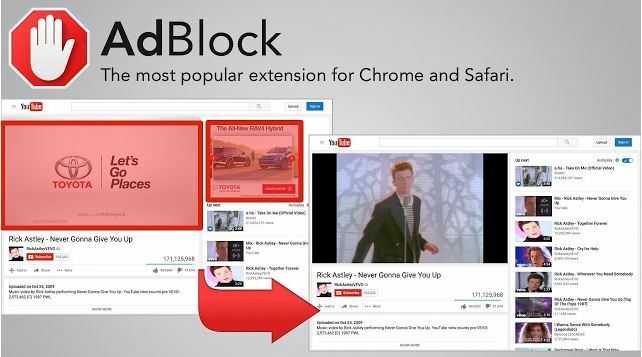 AdBlock Plus is the most popular ad-blocking extension available on Chrome. If any site is not primarily intrusive and you don’t want to block ads from it, you can include it in your “white” list. Moreover, do make sure that you keep those sites in your “white” list which are solely dependent on ads for their revenue. 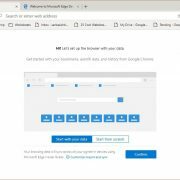 If you don’t have Chrome and still want to liberate yourself from useless ads, you can also use this extension on Firefox, Opera, and Safari. 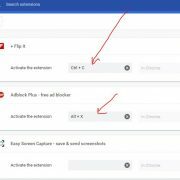 Get & Install the AdBlock extension. 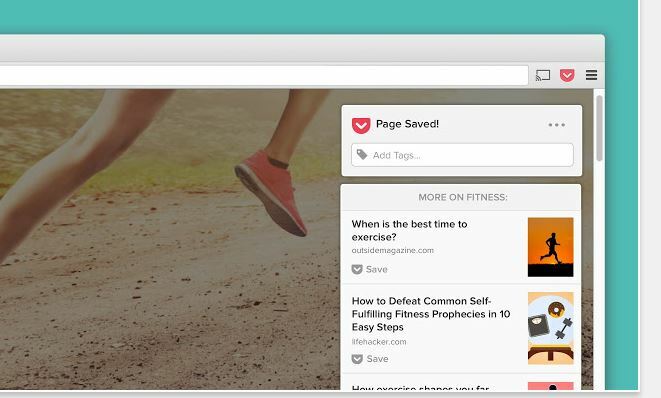 Get rid of the endless tabs! Are you one of those people who open far too many tabs they need and get all worked up about the work? Are you tired of your computer’s reducing memory due to the dozens of tabs you have open in your browser? 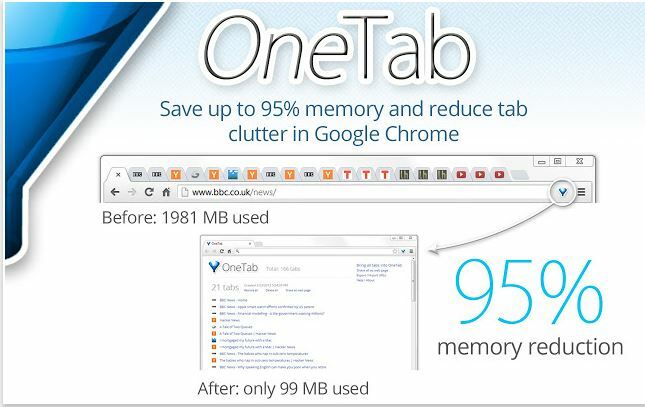 OneTab is the ultimate solution for you. It manages all your tabs and puts them on a list in chronological order. It is a win-win situation for you because not only can you save the memory your computer this way but also avoid losing track of the essential tabs on your browser. 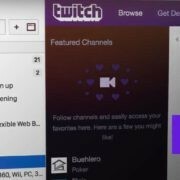 Extension link. Do you get easily attracted to Facebook and Twitter? Is it impossible for you to avoid scrolling through your feed and follow what all your friends are doing? 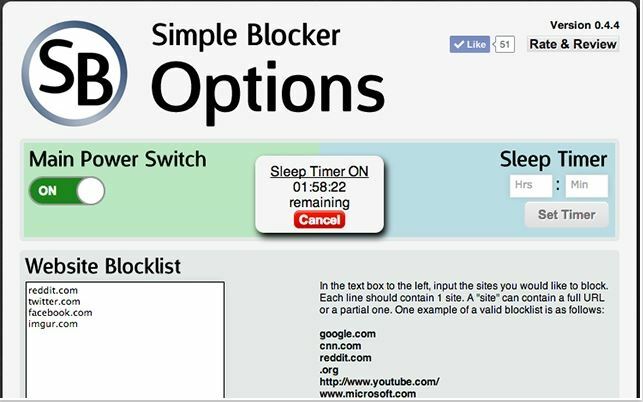 Simple Blocker extension will help you in eating the frog on your plate and keep procrastination miles away. Though it is primarily designed for students, it is useful for everyone. Through this extension, you can block access to specific domains during specific durations time like your office hours. As you can observe from this article, Chrome can do a lot more than browse. By using the hacks in the section, you can make your browsing experience much more worthwhile. 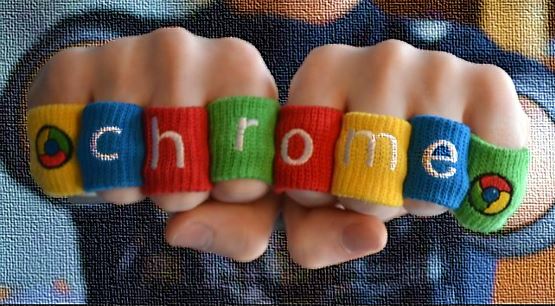 If you know other Google Chrome Hacks and mods, do let us know in the comments!